Applicators - Tharo Systems, Inc. Applicators - Tharo Systems, Inc. 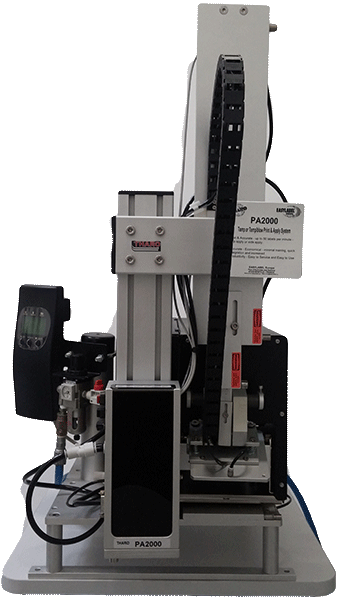 The PA2000 is a powerful accessory for Tharo H-400/H-600 Series thermal transfer/direct thermal bar code label printers. The PA2000 features a smaller footprint, 16.5″ wide x 32″ tall x 30″ long, than other Printer/Applicators, with a remote front panel for easy access, regardless of the orientation of the applicator. 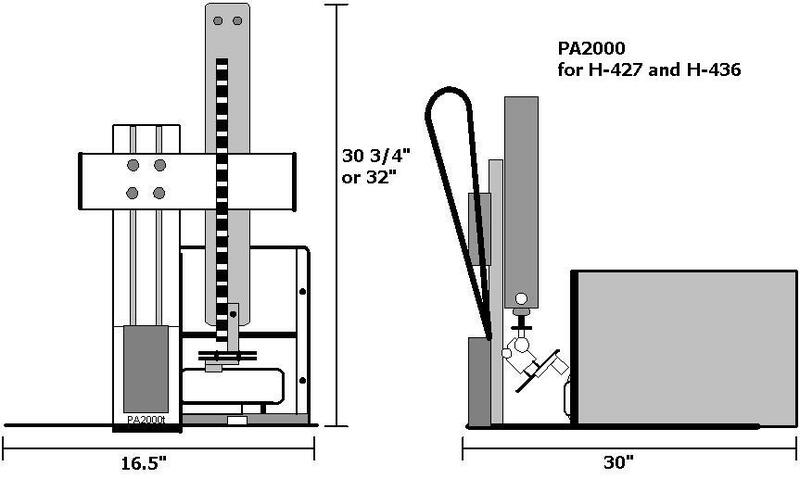 This allows the PA2000 to be installed in locations where other Printer/Applicators cannot. Ready to Buy a PA2000? 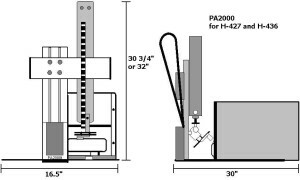 Standard Stroke Length: 17″ total (432mm) (10″ (254mm) below table) Custom length cylinders are available upon request. Standards: Built to CE safety and emissions standards. RoHS compliant upon request. WARNING BEACON: The warning beacon functions as a visual display for applicator and printer errors. PRODUCT SENSOR: The product sensor functions as an automatic trigger device, which sends a start signal to the applicator. FOOT SWITCH: The foot switch functions as a manual trigger device, which sends a start signal to the applicator when it is pressed. 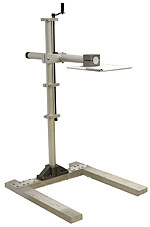 HAND CRANKED HEIGHT ADJUSTABLE H-BASE STAND: Allows for extremely precise height adjustment, while providing stability, and allowing the PA1200 to be used with a conveyor or other automated system. This is required if the applicator is to be used with the external Unwind/Rewind. Locking casters are available for the stand. TABLE-TOP STAND: Allows the PA2000 applicator to be placed on a table as an alternative to the H-Base Stand. 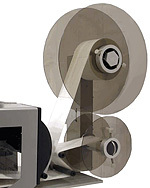 EXTERNAL UNWIND/REWIND: Accommodates up to 14″ OD roll of label stock, and allows for quick replacement of media, which helps keep downtime to a minimum. The H-base stand is required for this accessory.